Painting by artist Jackie Jacobson transformed into a beautiful ceramic tile coasters. Here are some interesting facts about this incredible cactus. 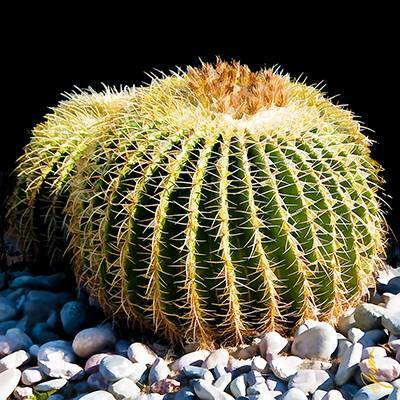 Barrel cactus is the largest cactus species found in the Southwest region of America. Barrel cactus species have a lifespan ranging between 50 to 100 years, but some plants are known to survive for as long as 130 years. These species can survive for quite a long time using the stored water, after they are uprooted from the ground. The Barrel Cactus painting by Jackie Jacobson is now printed on ceramic tiles and part of the new tile art coasters collection. You can display the tile art coasters on an easel as a fine art painting on tile. Then at a dinner, move the tile art coasters to your table for a colorful floral display. Add the tiles to your kitchen backsplash for a unique display of art and color.